Critical point drying is commonly used as the final step in the biological samples before they are sputter-coated and imaged using the scanning electron microscope. Critical point drying may also be performed on materials samples, for example those for which air-drying would result in capillary-force-induced collapse of a fragile structure. Demonstration Meters are very useful for Schools & Colleges to demonstrate all the parts of a Meter. 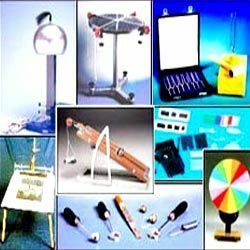 Make Mechanics Optics & Digital Instruements Pvt Ltd.